Sign up for the next "Don't Drip and Drive" class, CLICK HERE! Career & Technical Education (CTE) courses are offered in grades 7-12 and focus on preparing students with professional training in a variety of career fields. Students develop an understanding of the importance of work and how performance, efforts, and decision making directly affect future educational and career opportunities. Students are trained in basic workplace skills as well as specific technical proficiencies in wide variety of career pathways. 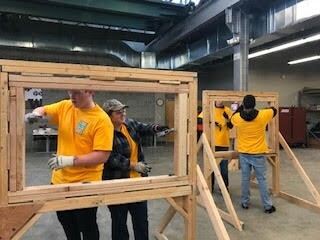 Career & Technical Education courses provide innovative educational opportunities within the Marysville School District. Students are engaged in learning and excited about the opportunity to experience focused course work that allows them to excel in an area of interest. Students who participate in CTE courses are being prepared to enter a highly competitive workforce based on a global knowledge and information economy. Students who are career and college ready need to be able to compete in this every changing workforce and have marketable skills that put them ahead of others. CTE offers these skills in a rigorous, hands-on, project based learning environment. CTE courses also offer embedded core academics, which allow students to complete their high school graduation requirements more efficiently. CTE courses are aligned to Washington State teaching standards and offer high school as well as college credit in many areas. Instruction is provided by highly trained educators who are experts in their field of study. All students in grades 7 through 12 will enroll and be successful in career and technical education and academic courses based on a guided career pathway selection. Students will progress through their secondary programs with a high school and beyond plan, a commitment to ongoing education and training, and an understanding of how their current learning can be directly applied to the career field of their choice. The mission of Marysville School District’s Career & Technical Education Department is to develop, implement, and sustain innovative, rigorous, real-world educational programs that are aligned with core academic courses, industry standards, and are fully integrated with 21st Century Employability Skills. The Marysville School District CTE programs will have a strong applied focus in high demand, high wage, and STEM (Science, Technology, Engineering, and Mathematics) courses. 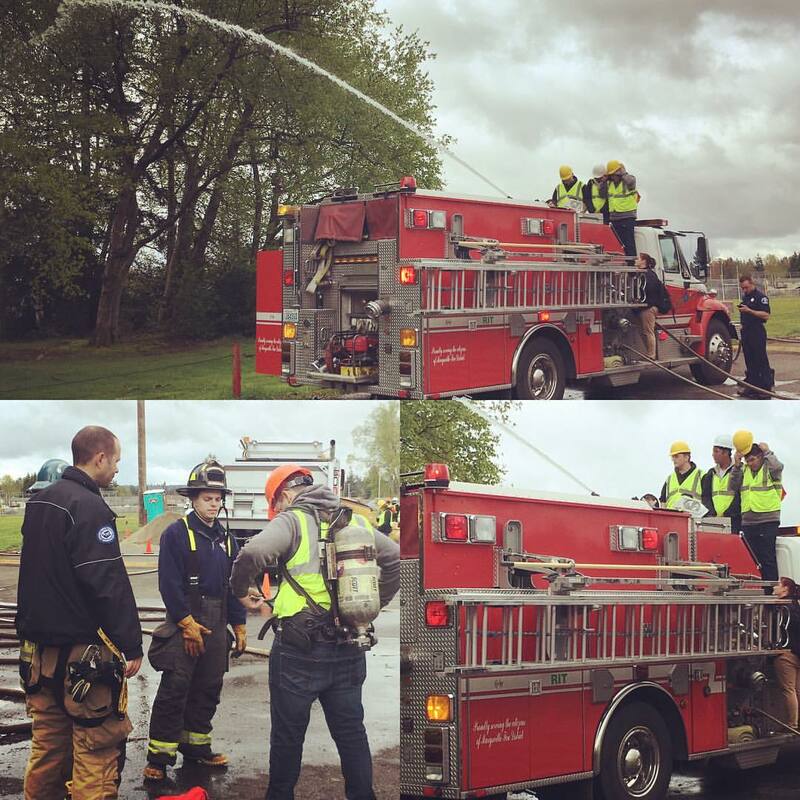 All Marysville CTE courses will prepare students to enter post-secondary education/training and to meet the needs of today’s competitive workforce. CTE students at MP in teacher Chuck Nichols Advanced Manufacturing / Aerospace course had the opportunity to tour training and employment facilities last Wednesday. 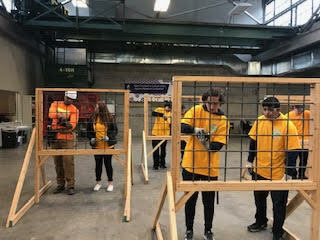 They went to EvCC's Advanced Manufacturing Training & Education Center AMTEC to participate in Manufacturing Day which was designed to show high school students the wide variety of careers to explore in the manufacturing and aerospace industry. 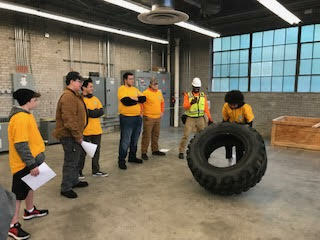 The met with instructors and students in the welding, machining, fabrication, 3D design and more and learned about the training requirements and area job possibilities. They were treated to lunch and then boarded the bus to Arlington to tour the AMT Senior Aerospace. We were not able to take photos for security reasons (students suffered a bit as they handed their cell phones over at the front desk :) ) but some of the details are below. We know that this experience of seeing the "hands on" training and work that is available to them will help them in crafting their post high school plans. Our MG & MP students working towards their Career & College Readiness plans! They are all looking sharp and excited to network with over 300 Reps from Tech Schools, Colleges and Universities at the National College Fair in Seattle today. On October 17, 2018, MGHS FBLA attended the Northwest Region’s Fall Leadership Conference at Four Points by Sheraton in Bellingham. We started the day off by sitting in the ballroom as our Regional Vice President Pavan Parmer told us the agenda for the day. We then listened to the keynote speaker, Denise Gibbs, as she explained how FBLA presentations, auditions, and job interviews were similar. She also taught us a few improvisational games we can do with friends to practice for our presentations. After her speech, the members were moved to different workshops depending on whether they are a returning member this year or a new one. New members cycled through three workshops about goals, conferences, and awards to teach them about what to expect this year in FBLA. Returning members, however, stayed in the ballroom and did a scavenger hunt activity that taught them about how to plan events, make a plan of work, and work towards earning the Business Achievement, Community Service, and Champion Chapter awards. After workshops were all finished, everyone met back up in the ballroom and got lunch. As we ate, we talked about what our workshops were about and what we had learned from them. As lunch was wrapping up, a few members went to the front to show examples of the correct dress code for FBLA (full business attire). Once lunch was totally finished, we collected some money for March of Dimes and went through official officer installations for every position. We were given a few dates of conferences coming up, then our chapter took tons of group pictures before getting on the bus to go back to school. A former students who is currently a professional editor, has donated his time to come into the Video Production Program at Marysville Getchell High School to speak to the class and help out. He’s been in twice already. Click Here to see his Video Production Reel. 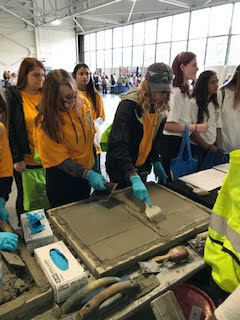 On October 11, 2018 Construction Fair at the University of Washington. 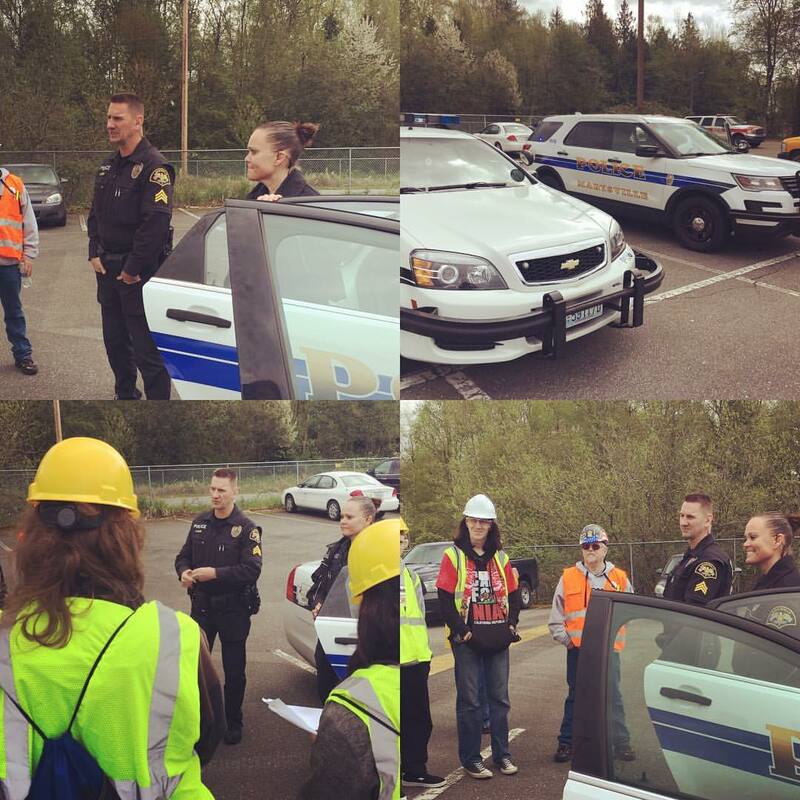 29 Students from Marysville Getchell attended. 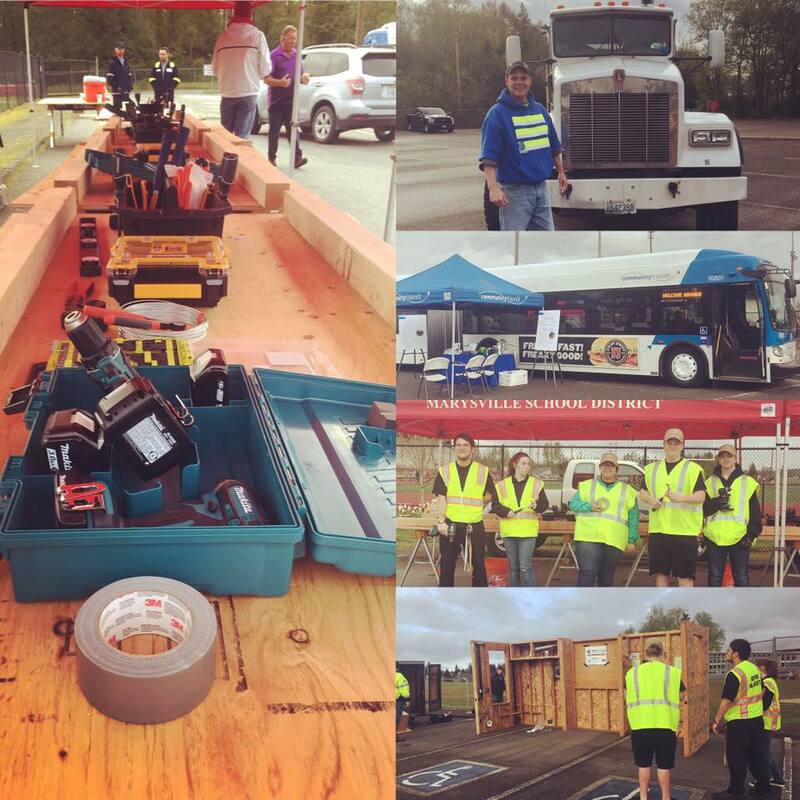 It was great for them to participate in many "hands on" activities, network with area contractors, laborers, and trade experts,etc. and learn about the Construction Management program at the University of Washington. Over 75% of the students in that program transferred in from community colleges and/or the trade industry. 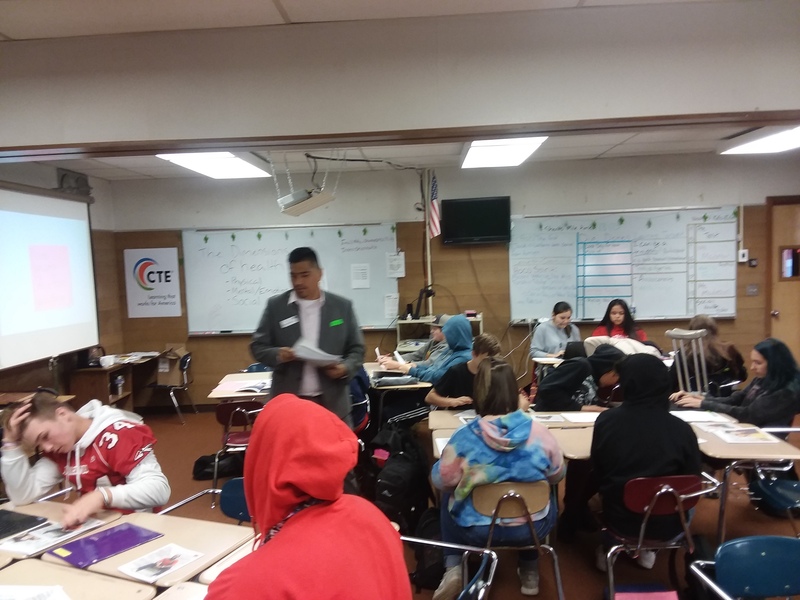 CTE Connecting Learning to Earning! 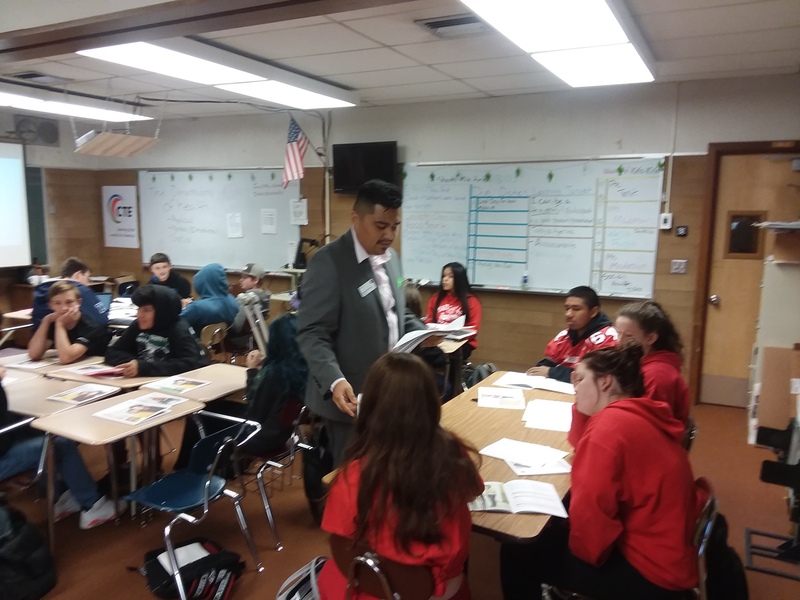 Representative from Wells Fargo providing classroom Financial Literacy presentation to MSD Pilchuck CTE classes. This presentation will make its way around the district to other CTE classes at both the middle and high school levels throughout the year. Marysville Getchell Future Business Leaders of America (FBLA) proudly represented Washington State at the FBLA National Leadership Conference, in Baltimore, Maryland from June 28 - July 1. Team 2: Riley Ostrander, Declan St. John, Sophie Mejia, Gernet Grewal, and Sterling Dawson and Future Business Leader competitor Sara Rolfe. 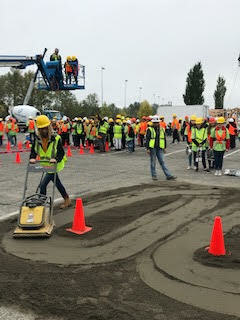 Although the competitors did not make the final rounds in their events, they are still top in the state of Washington. The National conference hosted more than 13,000 FBLA members from all over the world and also offered some amazing leadership training workshop opportunities to allow the students to learn more about professionalism, business and planning for their future. This experience is life changing and an opportunity they will never forget. 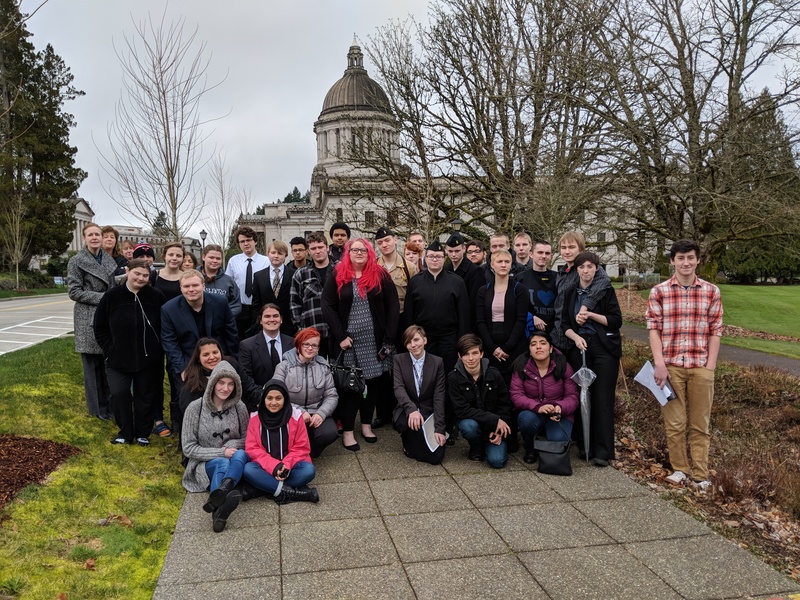 On Thursday the 15th of February 38 Arts and Tech students went to Olympia to speak with members of the legislature about CTE. 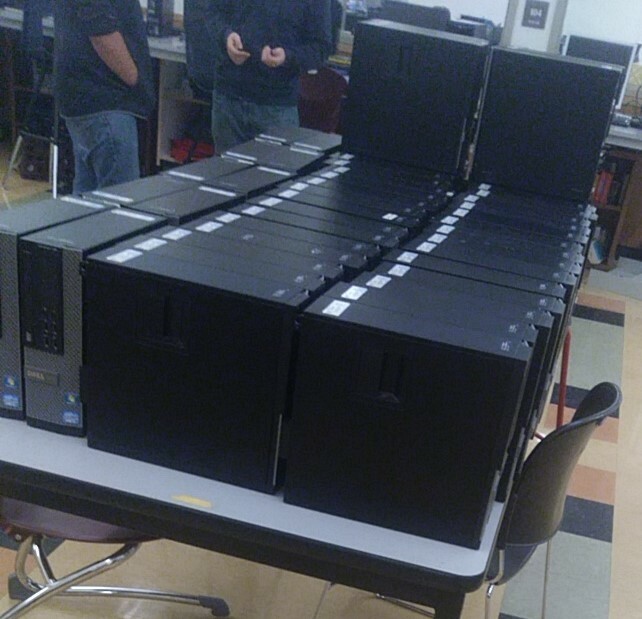 This is what 50 computers on the move looks like. They are on their way to phase two of our support for Housing Hope. Last year we sent them 75 computers to give their office staff an modern, unified computer platform. This round of 50 is going to Housing Hope sites that directly support the public. So client families will have the ability to use technology. We look forward to future Partnerships with Housing Hope. On exciting newer developments, we are thankful to Joseph Finley of Marysville Government. He has been instrumental in bringing about the opportunity to supply an outreach to homeless vets. The group has 20 beds, so they will take 20 computers at a time. As a vet goes through the process, they will have a dedicated computer to use. When they leave the program, they will take the computer with them and we will send a new one out to the group. 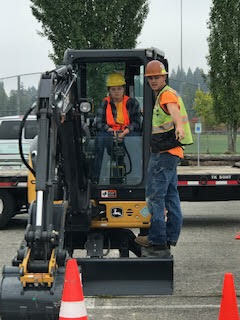 We welcomed Career and Tech Ed students from Marysville Middle School and #MSD25 high schools to experience the trades and all the opportunities that are available right here in Snohomish County! 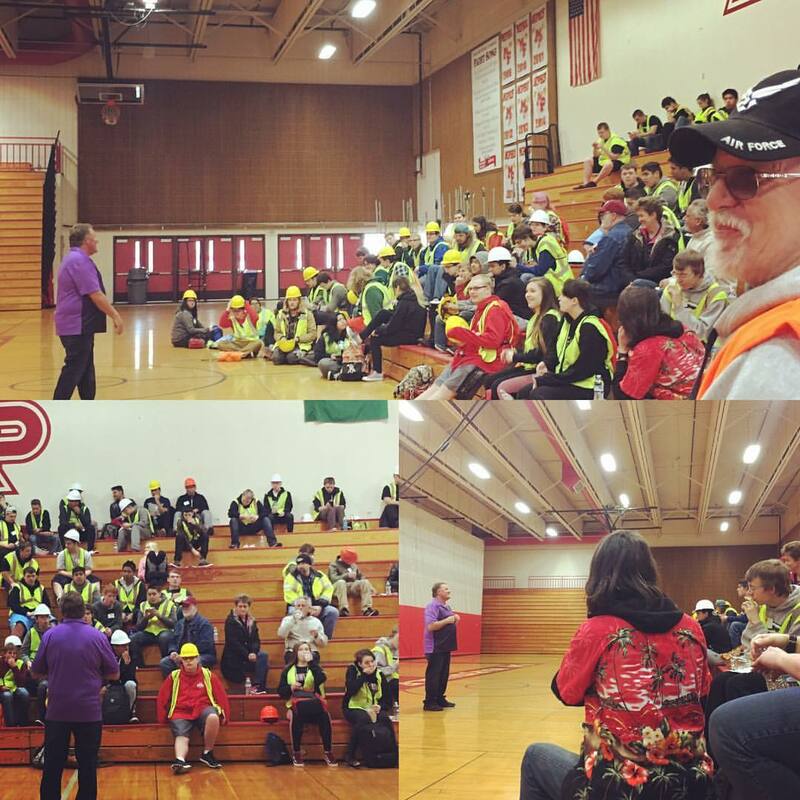 Big thanks to our sponsors and participants, the City of Marysville - government, Community Transit, Marysville Fire District, Machinists Union 751, Waste Management, City of Stanwood, Klb Construction Inc, United Way of Snohomish County, Official Snohomish County Labor Council, and Workforce Snohomish!